Derek Howes was born in 1951 and as a youngster he was always interested in wildlife, which has developed into a lifelong passion along with photography. After leaving school, Derek went into photography as a career, also attending college on various photographic courses. Unfortunately, this was all brought to a sudden end in his late teens, due to a Brain Aneurysm. Derek's career then turned to insurance, where he worked at a senior level in various Insurance Companies. Subsequently, for many years, Derek owned his own Insurance Broking Company until he retired in 2008. 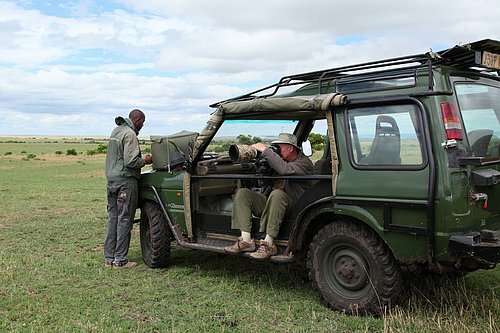 Derek has been fortunate over the last 20 years to travel the world, pursuing his passion for wildlife and photography, usually with his wife Sally or taking like-minded people on photographic safaris. His favourite places are Africa and India. The Galleries on this website contain many beautiful images, which have been photographed around the world by Derek, who works from home in Tiptree, in Essex, UK. Please visit the Galleries to see some of Derek's favourite images. These are continually being added to, so please bookmark the site if you wish to return to view the latest photographs.